Welcome to our country home out in the green. You may rent the whole house for your family and friends or for several families with or without children. Teambuilding is also possible here. 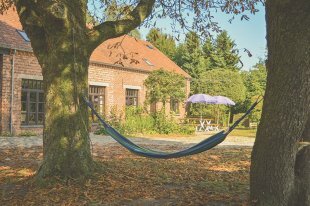 Throughout the year, the country home is repeatedly booked as training and conference center that provides overnight accommodation and procesconsulting–for more information, please visit www.itineris-advies.be. Our 7500m2 property is surrounded by pastures and cornfields. 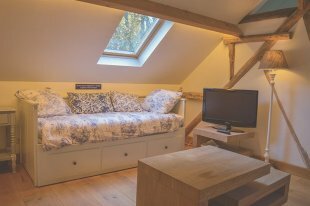 The holiday home itself is situated in a spacious garden that provides a sauna, barbecue, pétanque lane, campfire site, trees, swings and a sandpit for the children, a hammock, table tennis, tablefootball air hockey, tandems... 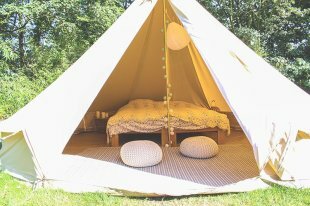 There is optionally room for a tent and we have a tipi as well. Dogs and small pets are allowed. After appointment, you can even stall horses in the neighboorhood.